Transient Ischemic Attacks (TIA), often referred to as mini-strokes, cause the same problems as strokes but usually last less than 24 hours. They are usually caused by a blood clot temporarily blocking a blood vessel in the brain, cutting off the blood supply to part of the brain. If the blood supply is interrupted for a short time only, the brain cells may recover function. It is still vital to seek urgent medical advice if you or someone you know is experiencing these symptoms. To ask a question, make an enquiry or book an appointment, contact our specialist team who are available between Monday – Friday 8am – 6pm and on Saturday from 9.00am to 2.00pm. Our stroke unit team have a dedicated and caring approach and will seek to find you the earliest appointment possible with the correct specialist for your needs. Ask us about our Mini Stroke Assessment Service to identify the cause of the stroke and administer the appropriate treatment and after care to reduce the risk of a further stroke. What is a Mini Stroke? How Do I Know If It Is A Mini Stroke (TIA) Or A Stroke? Three checks can help you recognise whether someone has had either a stroke or a mini-stroke (TIA). 1. Can the person smile? Has their mouth or an eye drooped? 2. Can the person raise both arms? 3. Can the person speak clearly and understand what you say? If you see any of these signs, call 999 immediately. If these signs disappear after a few minutes or a few hours, then it may have been a mini-stroke. Urgent medical attention is still required and the person affected should be seen urgently by a GP. If this is not possible, they should be taken to A&E. Am I Likely To Suffer A Stroke Following A Mini Stroke? The risk of developing a stroke following a mini stroke can be as high as 30% within the first month, with the greatest risk being within the first 72 hours. Although a mini stroke itself may not cause any permanent damage, it can be an indicator of an underlying problem that needs to be assessed and treated. In patients who have suffered a mini-stroke, the risk of a full-blown stroke is high and an urgent assessment needs to be carried out by a neurologist to try and prevent this from happening and to prevent a further mini stroke. How Is A Mini Stroke Diagnosed? Investigations to diagnose a mini stroke will include a brain scan and cardiac (heart) assessment, as well as blood tests. As part of our range of services, the Stroke Care Team offers a Rapid-Access Mini Stroke Assessment Service which makes use of our full range of diagnostic facilities and the combined expertise of the multidisciplinary team to help identify the cause of the mini stroke. The team also provides exemplary treatment to reduce the risk of further mini stroke, stroke or other complications. Individual programmes are developed for each patient based on their needs, after discussion with family, friends and their GP. 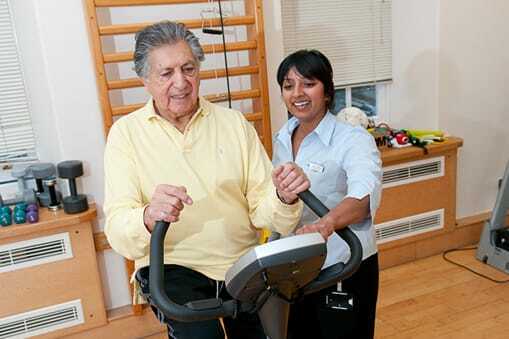 The Stroke Unit has support from leading Neurologists, Cardiologists, Physiotherapists, Speech and Language Therapists, Dieticians, Occupational Therapists, Ophthalmologists and Clinical Neuro-Psychologists, to ensure optimum rehabilitation for the patient and a reduced risk of a further stroke. Contact the Stroke Unit team on 020 7806 4075 or stroke@hje.org.uk for further information or to book an appointment. We are happy to offer a tour of our facilities before making your decision.